Consumption of energy- and nutrient-dense snacks are recommended for older people to maintain adequate nutrition. 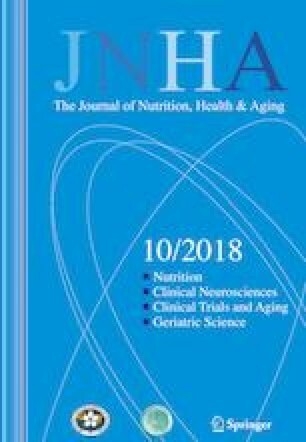 We evaluated the effects of dairy-based and energy-enriched berry products consumed as snacks on nutritional and functional status among vulnerable older people receiving home care services. The study sample consisted of 85 home care clients, with mean age of 81.9 (SD 7.1) years in the intervention group (n=50) and 83.7 (SD 8.1) years in the control group (n=35), and 72% women in both groups. In the intervention group, the participants consumed both high-protein dairy-based products and energy-enriched berry purées for three months. The snack products provided nearly 300 kcal and 14 g protein per day. The Mini Nutritional Assessment (MNA), body mass index (BMI), mid-arm muscular area (MAMA) and concentrations of plasma albumin and prealbumin and blood haemoglobin were used to determine nutritional status, and handgrip strength was used to determine functional status at baseline and after the intervention. Results: After adjustment for age and gender, the intervention showed a significant effect on MNA scores (2.1, 95% [CI]: 1.0 to 3.3) (p=0.003), albumin concentration (2.0 g/L, 95% [CI]: 1.1 to 3.2) (p=0.006) and handgrip strength of the right hand in women (2.4 kg, 95% [CI]: 1.2 to 3.3) (p=0.007). The MNA scores improved in the intervention group, while albumin concentration and handgrip strength decreased in the control group. Regular use of dairy- and energy-enriched berry-based snacks may improve or maintain nutritional and functional status among older people in home care. Supplementary material is available for this article at https://doi.org/10.1007/s12603-018-1076-7 and is accessible for authorized users.